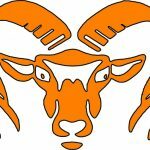 Both the Rockford Ram boys and girls Cross Country teams saw limited team success but great individual improvements on Saturday, September 9th. The school from Saline took top honors with the boys scoring 69 points and the girls team totaling 79. The Rockford girls team had a 5th place finish with 118 points and the boys a 6th place finish with 142 points. The day was not lost on the Rockford runners though. They took top honors in three of the four races. Cole Johnson took 1st in the Boys Varsity race with a time of 15:52. Taking first in the Girls Varsity and Junior Varsity races were Juniors Ericka VanderLende 17:57 and Carly Maynard 20:52 (LTPR). 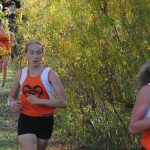 With her stellar finish, Ericka became the 8th runner in Rockford history to break the elusive 18:00 mark. Those individual accolades aside, the remaining team members set many personal bests. On the boy’s side 24 of the 38 runners set Lifetime Personal Records (LTPR) with another 9 runners improving their times for the season. 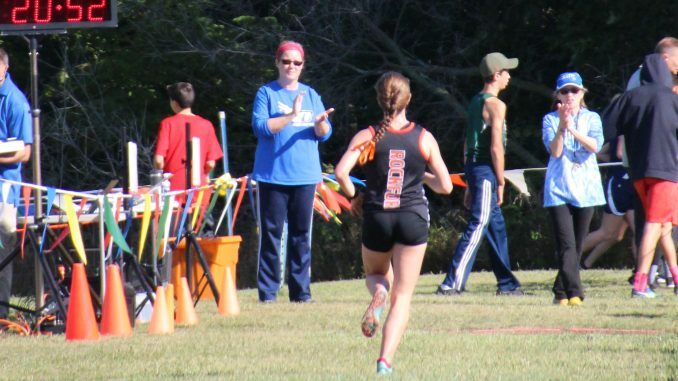 The girls faired similarly as 14 of 30 runners set LTPR’s and 7 others improved on the season. Both Coach Martin and Coach Watson took great pride in knowing that their runners’ hard work and dedication are paying off with improving times on the season. In the boys’ varsity race 4 of 7 set LTPR’s: Jack Grimm 16:32, Ian Cook 17:10, Jude Parks 17:20 and Jacob Majoor 17:52. The girls’ varsity had 5 of 7 set LTPR’s: Ericka VanderLende, Emma Everhart-Decker 19:11, Lexie Allshouse 20:45, Riley Thompson 20:47 and Diana Candela 20:49. Next up for the Ram Runners is a split squad weekend. The top seven runners will be racing at the MSU Spartan Invite on Friday. The Girls Spartan Elite race time is 1:15 pm with the Boys Spartan Elite starting at 2:00 pm. The remaining squad will take to the fast Sparta Invite course on Saturday with the JV race starting bright and early at 8:00 am, with the Girls Varsity at 9:05 and Boys Varsity at 10:00 am.